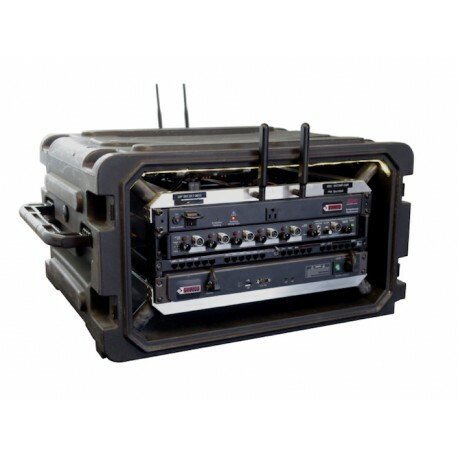 The BCC is the most valuable versatile of our units: It can be rack-mounted for use in a Mobile Command Vehicle. 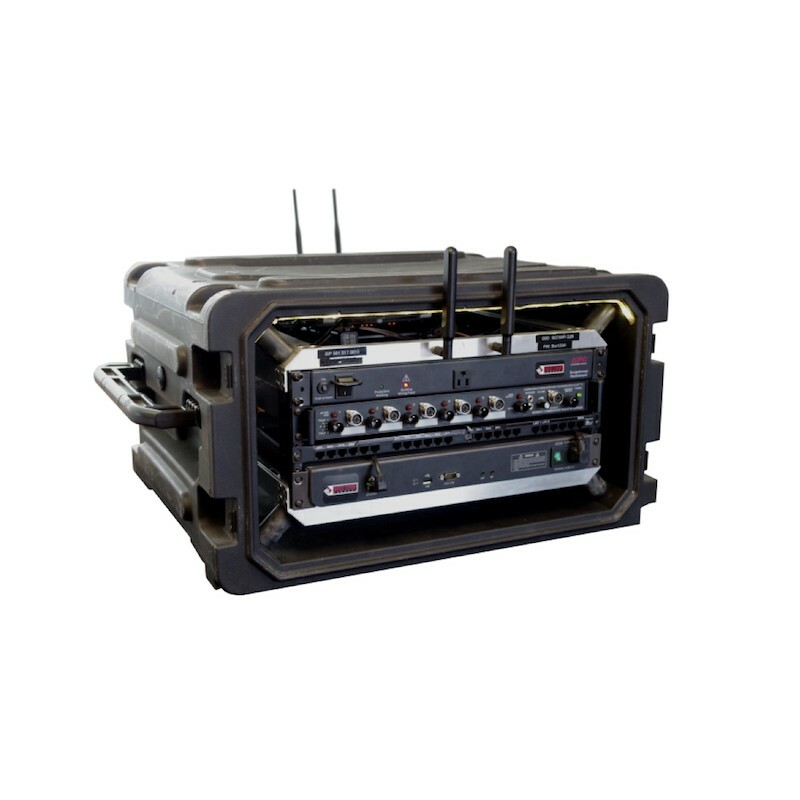 It can also be fitted in ourportable hard case equipped with chock- mounts as a rapid-deploy kit to complement the existing vehicles infrastructure. BCC is a tactical communication system intended for emergency managers who can’t afford communication failures when an incident happens. The BCC is the state-of-the-art system that ties to your existing equipment/tech- nology. 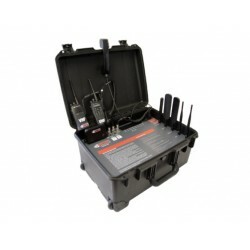 Standard 5 radio interoperability module (frequency agnostic), up to 12 telephone lines and an internet router working on 2 networks, up to 45 people can work using the BaseCamp. Automated connection (including FirstNet) to preset networks with automatic failover and no computer or training needed to operate. All electronics self-contained in the 70 Lbs Case, low wattage operation on 110V. 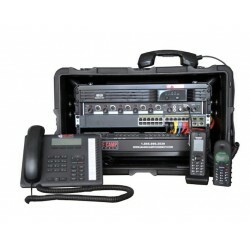 In addition to provide a telephone system and an Internet access, the BCC allows you to interconnect 5 radio networks (UHF, VHF, HF, P25, TETRA, digital, analog, etc. ).